Australia; underside. Michael Guiry. © Michael Guiry (mike.guiry@nuigalway.ie). Australia. Michael Guiry. © Michael Guiry (mike.guiry@nuigalway.ie). Published in: Wilks, K.M. & Woelkerling, W.J. (1994). An account of southern Australian species of Phymatolithon (Corallinaceae, Rhodophyta) with comments on Leptophytum. Australian Systematic Botany 7: 183-223, 18 figs, 2 tables. Plants occur on sponge and rock at depths of 4-12 m (Wilks & Woelkerling 1995: 196). From 2-15 m deep (Womersley 1996: 187). 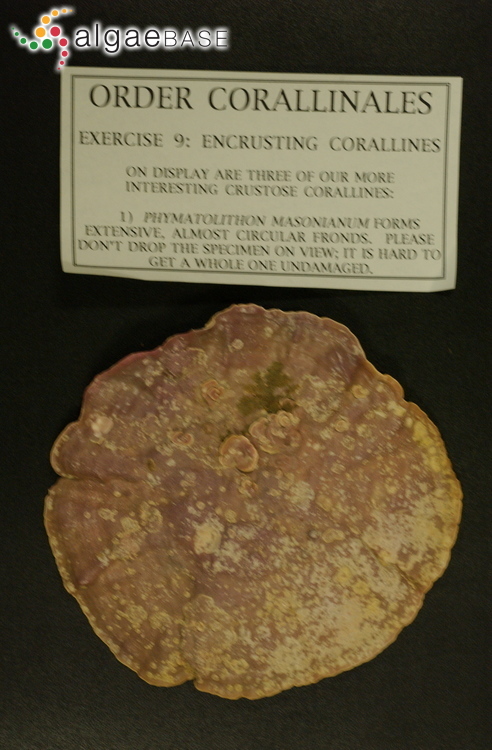 Type locality: Ninepin Point, D’Entrecasteaux Channel, Tasmania, Australia (Wilks & Woelkerling 1994: 196). 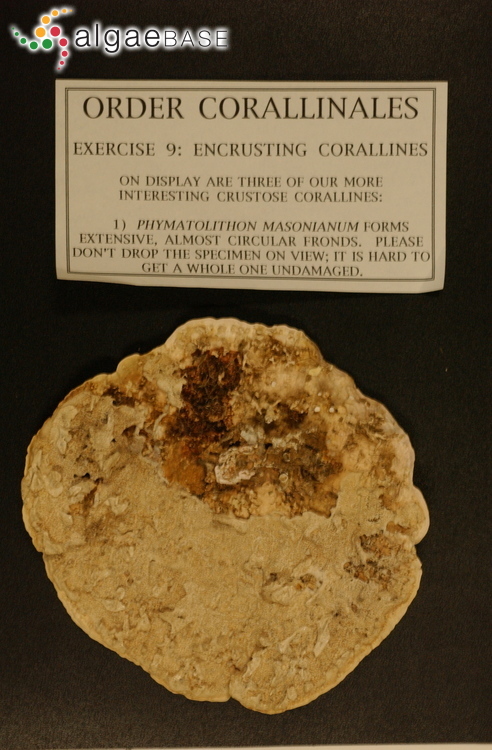 Holotype: G. Kraft; 4 January 1993; 6-12 m deep. LTB 16679 (Wilks & Woelkerling 1994: 196).